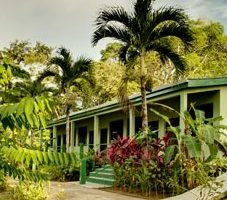 One of a kind fully Titled Eco Resort on 48 acres of virgin jungle set inside a magnificent 7100 acre National Park. 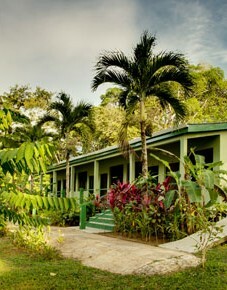 Resort; a spacious jungle lodge operated entirely on alternative energy. New professional website. Turnkey with lawn equipment, Van, restaurant equipment, solar golf cart truck. 100K USD solar upgrade, new generator and hydro upgrade for 100% off grid power. Bookings for the next year are already double from the first year. Featuring a brand new 4000 SF deluxe building housing 5 rooms with another 11 other rooms in additional buildings, all remodeled in 2012-13. Rooms, tours, and restaurant and bar are operational. Line business can be purchased separately. Estimated 2M + gross revenue projection in the first year. 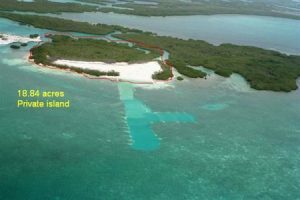 New Cruise ship[ port in Placencia will significantly increase revenue from Zip Line and lunches that go along with Zip Line packages. 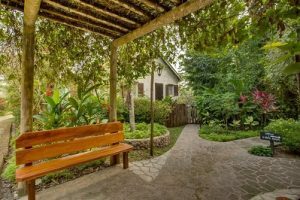 Listed Price price for the property is $1.3 M. Zip Line can be purchased separately–Price upon request. PL statements can be made available with a non-disclosure agreement.